Subscribe News and features, produced quarterly, about the global tank container industry. 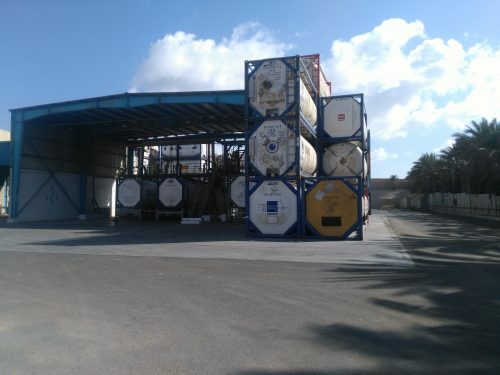 Less than a decade ago, Egypt was poorly served by commercial organisations that could offer neutral third-party ISO tank container cleaning and repair operations. While companies might offer one or the other of these tasks, no one company offered both to container operators or leasers. This gap in the market was a drag on tank container operators bringing equipment to the country for discharge and ﬁlling. The market responded in due course with the establishment of Egytrans Depot Solutions (EDS), the ﬁrst company in Egypt to provide such services to its tank container industry. Today, customers from Middle East and Asian markets can also take advantage of these services. EDS is wholly owned by Egytrans, a provider of integrated global transport services and solutions in Egypt for 40 years, which combines state-of-the-art European know-how and technology. It established its ﬁrst depot in Alexandria and plans to build and operate a network of depots in Egypt. The establishment of EDS, in 2010, came as the region became a major player in petrochemicals production. At the same time, growing movements of bulk liquid were bringing containers which required cleaning and repair after discharge. With this increase in movements by Europe-, Asia- and North America-based operators and leasing companies, it became clear that there was a need to meet this demand. The premier business directory for executives, technicians, engineers and buyers. Our magazine supplies with well researched and written editorial features and analysis. Our directory is the premier business directory for executives, technicians, engineers and buyers. © 2019 Copyright Tank Container Media.